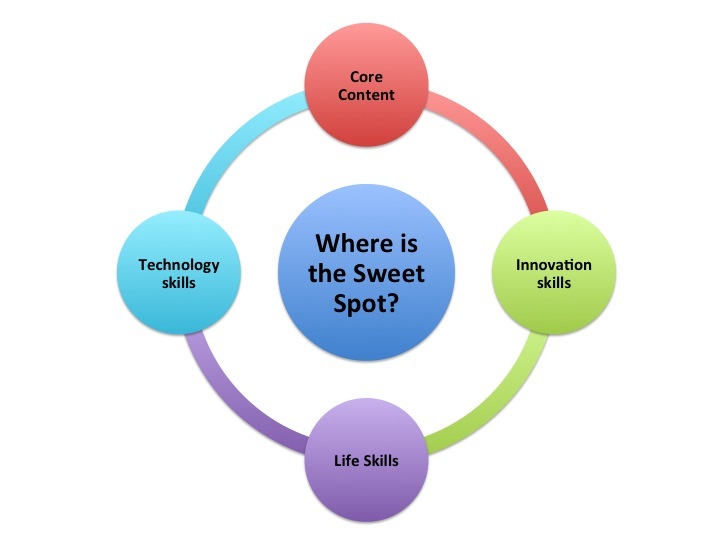 Where is the sweet spot in school reform? The “mind field” is ripe with ideas, models, programs, and initiatives. But where do we start and who takes the lead? In my recent post, Response to “Classrooms of the Future: Stagnant Scores,” we learned from the New York Times article by Matt Ricthel, Classrooms of the Future: Stagnant Scores, that some school districts are looking to technology for the answer to how to keep students engaged. They are expending large pools of resources to fill classrooms with technology while cutting back on important programs, freezing teachers’ salaries, or delaying important projects. I posed the question: is that really smart planning on the part of politicians and educational leaders? In today’s New York Times, Tara Parker-Pope wrote a blog entry entitled, School Curriculum Falls Short on Bigger Lessons. In her article, she outlines responses to the question: “are 21st Century students (my words) really learning lessons that will help them succeed? 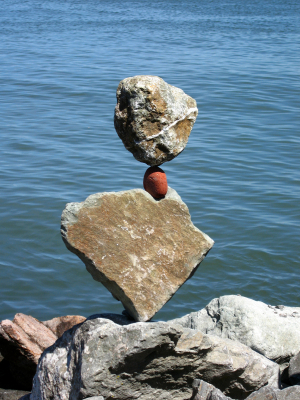 “ Weighting through the article we learn that she believes, as do other educational psychologists, writers, and educational leaders, that schools are not adequately teaching students the fundamental skills they need to navigate the chopping waters of life. I understand her point and agree with many of the answers she and others propose. One question that comes to mind is: Where are parents, families, and communities in this equation? Where does their responsibility to “create, teach, and assess” the important career and life skills that Parker-Pope believes students need and schools should deliver? I would argue that their responsibility should be on the front page and our society should hold them as accountable as it is prepared to hold schools and teachers. Improving what we teach students. Supporting the development of excellent teachers. Developing more authentic and balanced assessments of student learning. Supporting the creation of more innovation classroom environments. Supporting the integration of teaching tools, like technology, into the curriculum. Ms. Parker-Pope’s blog post caused me to expand my thinking somewhat. In many educational reform circles of which I am a member, there is a great deal of conversation about 21t Century schooling and 21st Century skills. Most of the conversations focus on not using “21st Century” jargon because it is merely trying to repackage things we (schools) have always done and done well. While I am not a “born-again” 21st Century convert, I do see the value in using the jargon, adopting the talking points, and studying how the models can thoughtfully inform school reform. I believe they can and I believe we should credit the reformists who advocate for a 21st Century approach, like the Partnership for 21st Century Skills and others. 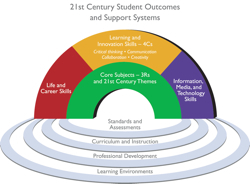 For additional perspectives on 21st Century learning, read blog posts by Bo Adams at It’s About Learning, specifically a post entitled, 21st Century Learning…It’s All About Your Mindset. These ideas are also promoted in the eloquent work of Carol Dweck from Stanford University as outlined in her book, Mindset: The New Psychology of Success. She discusses the difference between a fixed and growth mindset (a link to a site buy Michael Graham Richard that provides a good overview). The growth mindset person, a mindset developed when we are rewarded for effort, is more resilient than the fixed mindset person, a mindset developed when we are rewarded for being smart. While I am oversimplifying her model, it is clear that there are many parallels to the work of psychologists and educators referenced in Ms. Parker-Pope’s article. We know that good schools must teach core content. In fact, much of the content that serves as the foundation for our educational system is worthy to be taught. The question is not content vs. skills, but the proper balance (Figure 2) between content, 21st Century skills, life skills and technological skills. Where is the sweet spot? I would argue that the model should be a dynamic equilibrium in which schools are striving for the Sweet Spot. If schools hold themselves accountable for measuring their success in all four areas, they will find the Sweet Spot over time. But it has to be embraced as a “journey towards wholeness.” This is a Parker Palmer term described in his book, A Hidden Wholeness: A Journey Towards an Undivided Life, that I believe is appropriate in this context. Words matter! The above statement, as viewed by skeptics, could be seen as overly simple. However, the point is that we have to begin somewhere to change the mindset of adults in schools and schools themselves. Schools don’t have mindsets, but they are cultures that promote ways of thinking. These ways of thinking need to change. Also, it should be a shared responsibility with parents and communities. So let’s look for the Sweet Spot, think outside the box, and not get defensive when it seems like we are bringing into question prior practices. We need to redesign curriculum so that it stays relevant to students and anticipates what’s around the corner and we need to prepare teachers to handle what is coming around the corner. There are no magic bullets and the answers will come from within. I love the poem by David Whyte, Start Close In. Check it out and see if you think it is HIGHLY relevant to these ideas.